Seaman Journey is an ultra-stable, twin-hulled yacht that launched in 2008 and has been meticulously cared for and maintained since that time. 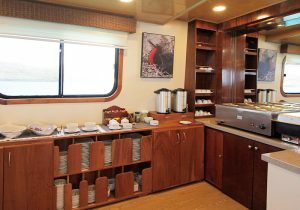 It was last refurbished in December 2017. 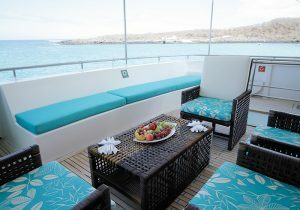 With a bilingual crew of eight plus an onboard naturalist, the focus is on the culture, flora and fauna of the Galapagos Islands. 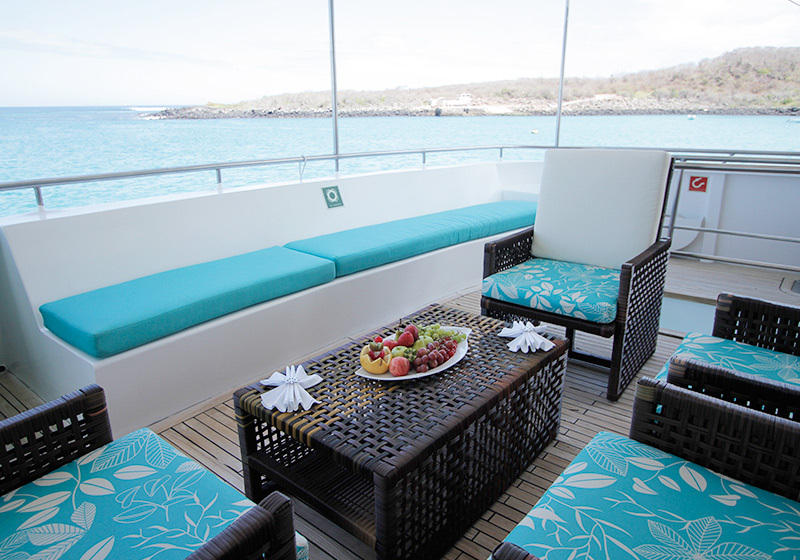 On your voyage, you may see giant tortoises and iguanas, blue-footed boobies and penguins, and sea lions and seals. As such, travelers spend most of their time on deck, scanning the water and shore for sea or bird life. 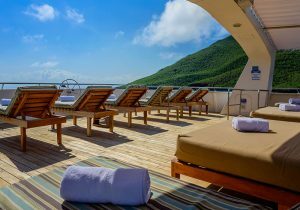 Seaman Journey has a fantastic bow net, where passengers lounge and can watch dolphins at play as they swim beneath the net. It's an exhilarating experience for even the most jaded traveler. 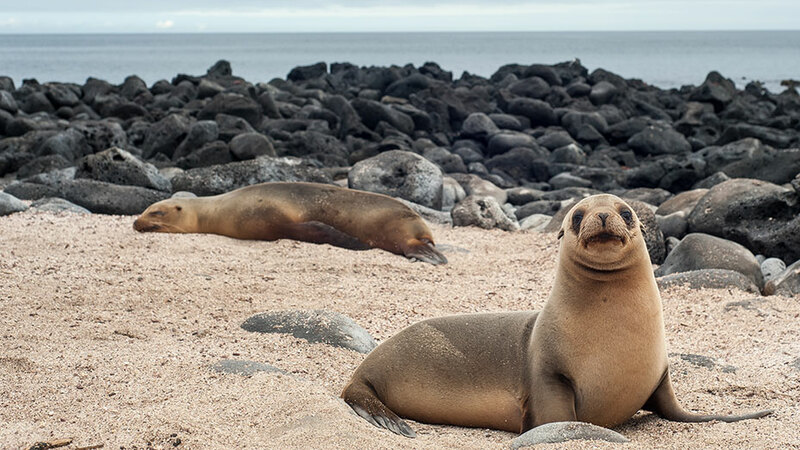 After a full day of visits you will get to learn a little more about the sights you visited and will be able to ask your guide specific questions about wildlife, geology, marine life, biology, and other topics. 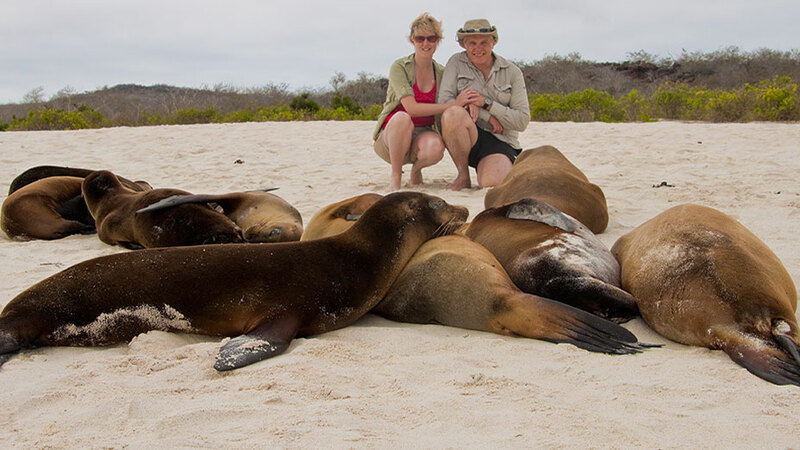 Our certified naturalist guide speaks English and have many experience on the Galapagos Island. 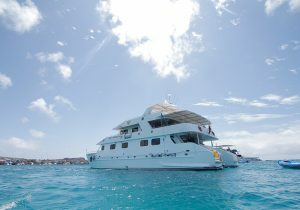 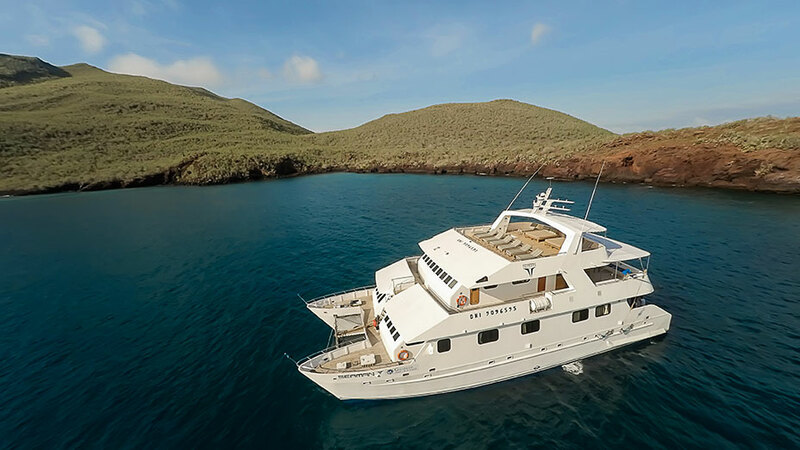 We believe that the key to a great itinerary is variety and therefore the M/C Galapagos Seaman Journey visits several types of ecosystems within the Galapagos Island. Our shore excursions are packed full of several activities and lots of fun. 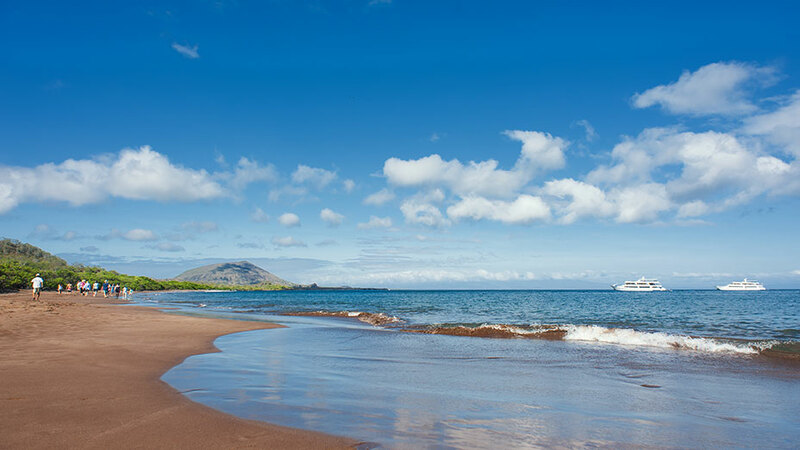 A typical visit to a landing site includes a nature hike, zodiac ride, snorkeling or kayaking and of course time out to relax on the beach. The catamaran's public spaces include an indoor lounge and dining room; both are air-conditioned and feature panoramic windows to view the seascape outside. 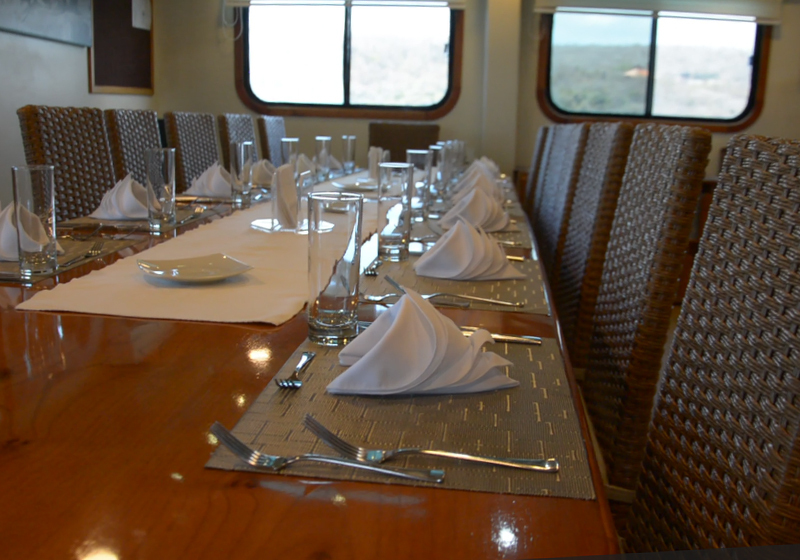 You can dine with your fellow passengers or at separate tables with just your party. The dining room includes a buffet area and omelet station. 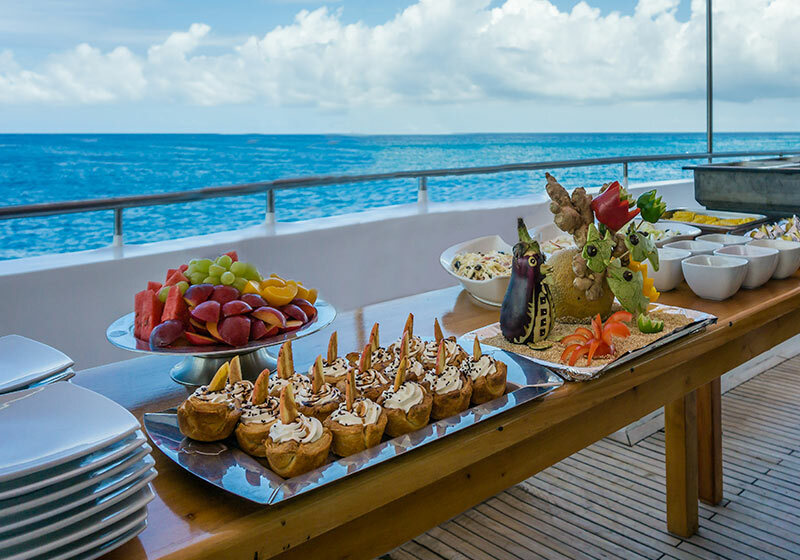 Breakfast and lunch are served as a buffet while dinner is served family-style. Each night the chef offers a meat, chicken and seafood entrée, and a vegetarian menu is available as well. 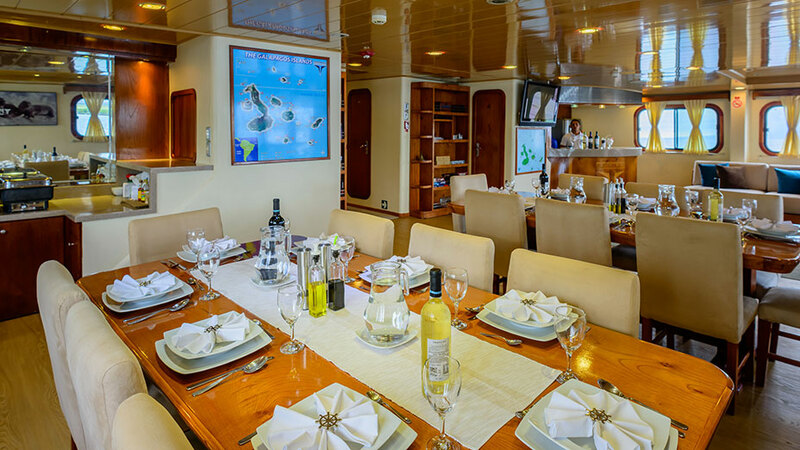 Latin Trails can cater to any special dietary requirements as long as you alert the line at least 15 days before departure. The cuisine is wholesome with an emphasis on fresh ingredients. 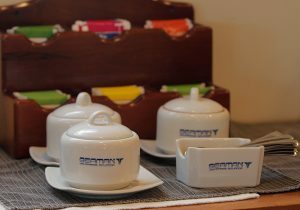 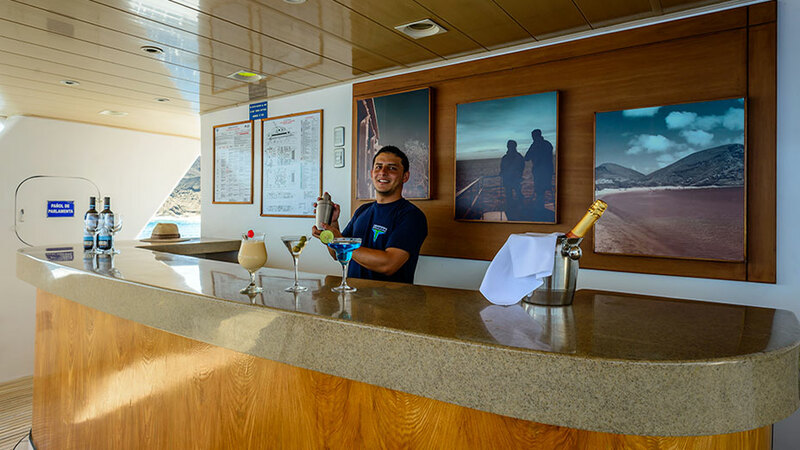 You'll find fresh fruit juice and salads as well as entrees that include a nod to the ship's Ecuadorian roots. 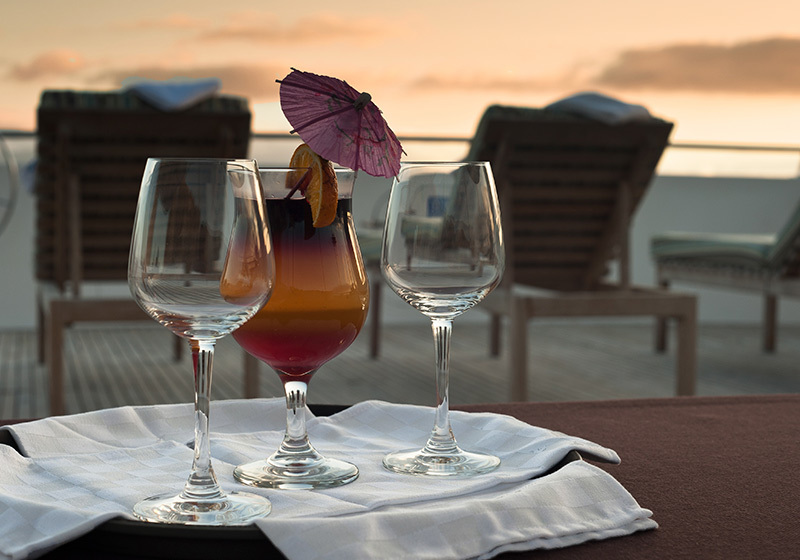 Try seco de chivo (lamb stew), shrimp ceviche and coconut fish with rice. On every departure, expect a fun cooking class to learn to make ceviche; an on-deck barbecue featuring picanha (sirloin cap), beef sausage, boneless chicken with oregano and lemon, tequila-marinated prawns and more; and alfresco dining experiences. 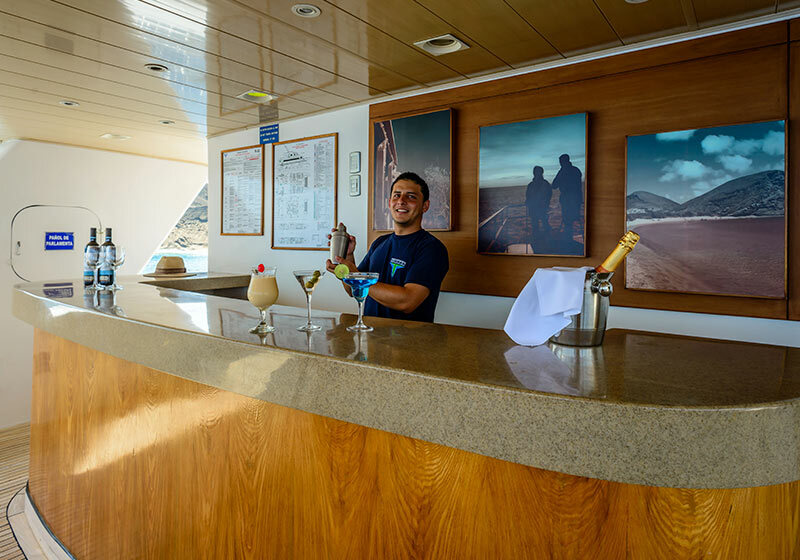 The ship also has an open bridge policy, where passengers can chat with the captain and learn what it takes to navigate the many islands of the archipelago. 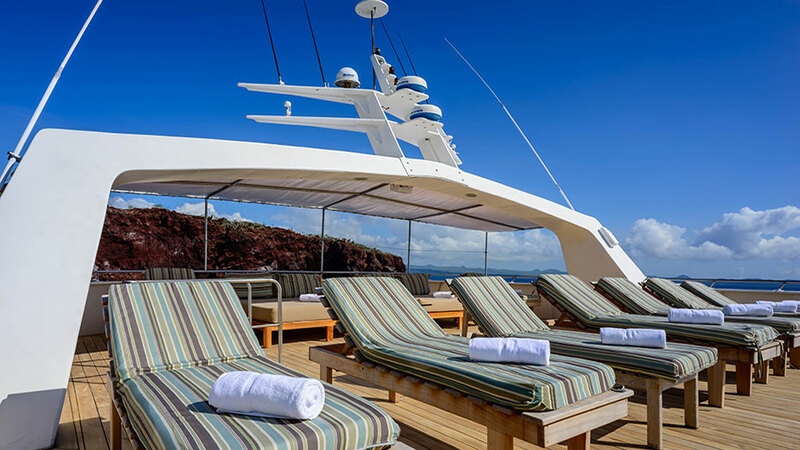 All outdoor decks are fashioned from teak, and there is an alfresco dining venue and upper deck lounge as well as a sun deck with daybeds and loungers (some in the shade). 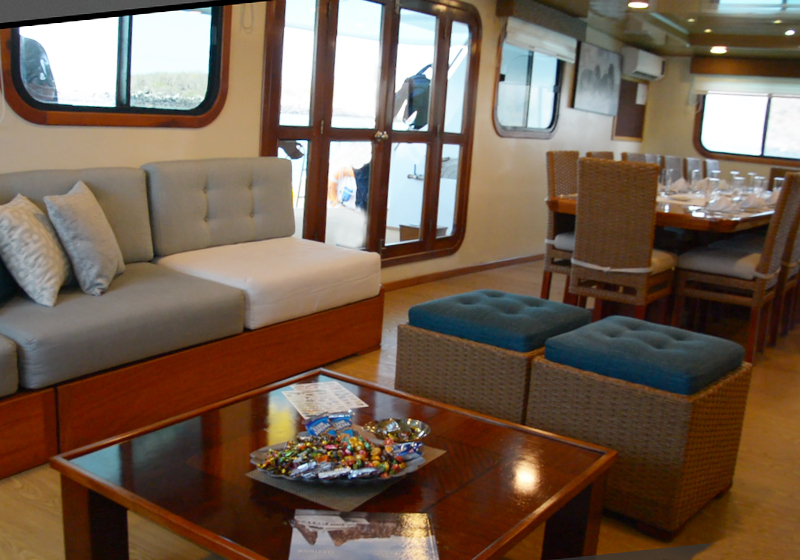 You'll find the boarding area at the stern where you can change into wet suits (available for rent) before an excursion or simply sit and watch the water. A unique feature of the ship is the fact that the windows in the cabins actually open; each cabin is also fully air-conditioned. 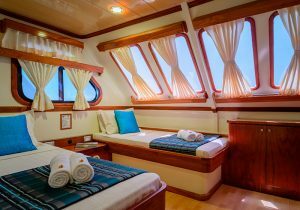 Staterooms, all about 161 square feet, boast firm orthopedic mattresses, a small writing desk, closet and private bathroom. 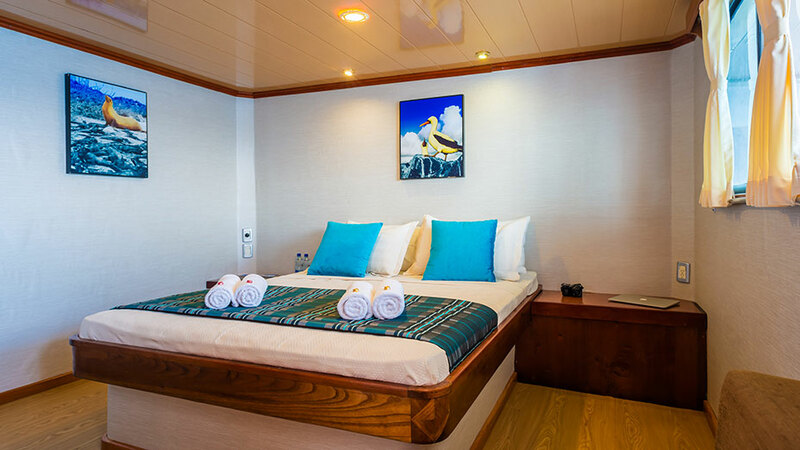 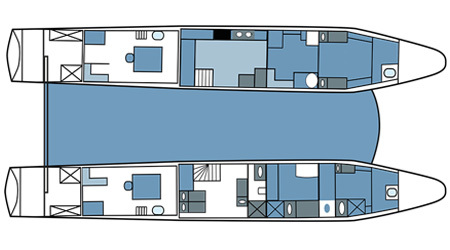 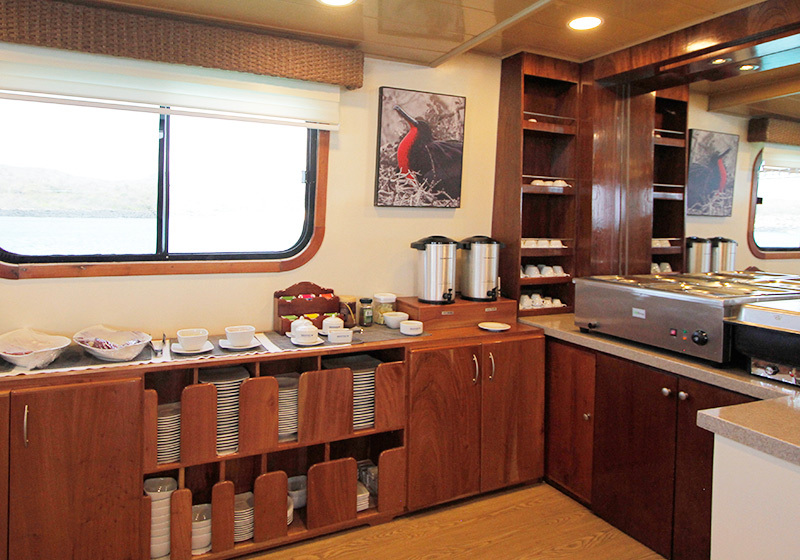 Six cabins are configured with two fixed twin beds and one cabin has a queen bed. 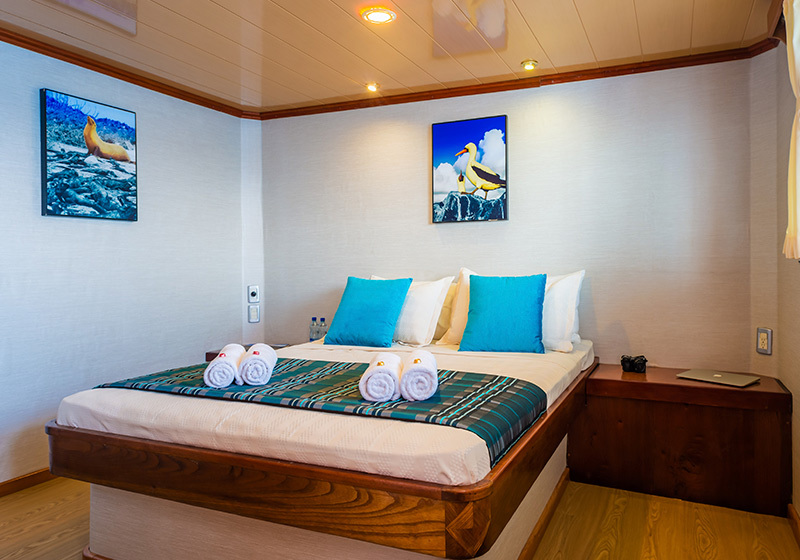 If you're traveling with a child, you can request a sofa bed.